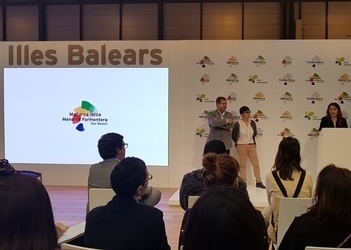 The Formentera Council's tourism department is currently manning its own stand at “Madrid Fusión”, a gastronomy expo that will run through Wednesday in Madrid. 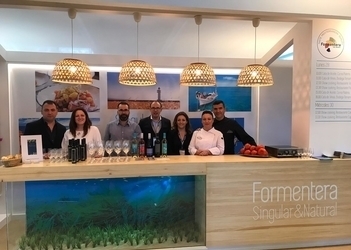 Department chief Alejandra Ferrer and Carlos Bernús, the head of tourism promotions, are there with chefs from six Formentera restaurants as well as two producers —one of oil and one specialised in wines— to showcase the best Formentera has to offer in terms of gastronomy. Every day of the three-day event will see two new restaurants conducting a “showcooking” session, which Ferrer promised would include “local products being used to reinterpret traditional cuisine”. The wine cellar and oil producer are standing ready with samples of their Made-on-Formentera products. The event, said Ferrer, is focused on gastronomy, and “enables us to spotlight the identity that sets us apart from other emerging destinations, helping to keep us competitive”. 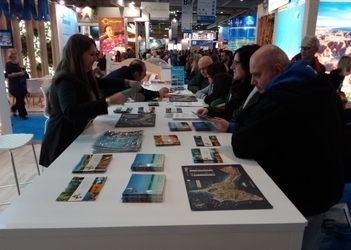 Formentera's stand at the expo will be the place to go for tourism-tuned info. Among the run of new material the island's reps will have on hand is a 2019 edition of “Sabors de Formentera”, a book purporting to offer “traditional recipes from a singular island”. Ferrer thanked Vicent Morna and Artur Portas for giving the team permission to tap into the trademark local recipes of their “Cuina Típica de Formentera” in putting together the new book, which she called “true to our island's culinary tradition”. Ferrer also gave thanks to the six participating restaurants, Vogamarí, Pinatar, Es Molí de Sal, Casbah, Can Pasqual and Capri, the wine cellar Terramoll and the oil producers at Ca na Platera. This year marks the first that Formentera has a presence at the expo, which is one of the leading gastronomy-related events in Spain. The Formentera Council tourism office reports that Sunday to Tuesday (February 10-12) is Milan's BIT, an international travel expo, where Formentera will be promoted, according to department head Alejandra Ferrer, as a “destination for travelers interested in fitness, culture, nature and gastronomy and one with an identity all its own”. 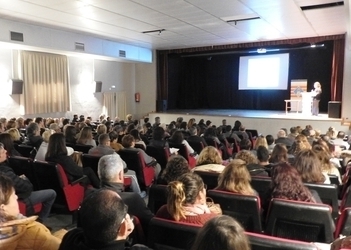 The councillor said BIT—like Madrid's FITUR—“is a chance to spotlight the island's 2019 calendar of sporting events, not to mention the nature, scenery, culture and gastronomy that can sweeten the deal for visitors”. The events programme, said Ferrer, makes it possible to enjoy Formentera 365 days a year. Ferrer, who traced the idea of Formentera having a dedicated stand at BIT to the fact that Italians are among the island's leading visitors, insisted promotion would focus on the island's off-season charm. Standouts on the promotional catalog are fitness fixtures like the half-marathon (Mitja Marató), Formentera All Round Trail, Formentera to Run, Marnaton, a mountain bike circuit around the island and the Triatló, while cultural events include (but are not limited to) Formentera Film, Formentera 2.0 and Formentera Jazz Festival. The events calendar is a sign of Formentera's success positioning itself as a destination for fitness and culture. The councillor pointed out that “meets and gatherings are always organised around a respect for the environment and sustainable use of natural resources”. Another feature of promotional efforts will be the discounts and bonuses offered by local businesses as part of “Discover Formentera” in May and October. “Gastronomic weekends”, in particular, is a heavy hitter. Newness doesn't stop there. 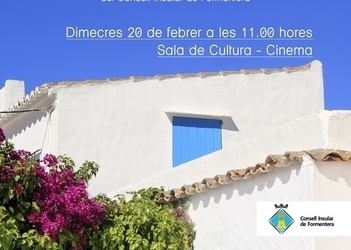 Local reps will also talk about the island's new tourism website formentera.es and links to HD cameras across the island; a book of traditional recipes called “Sabores de Formentera”; a brochure for birdwatchers and another edition of the island's “cultural nature trails”.